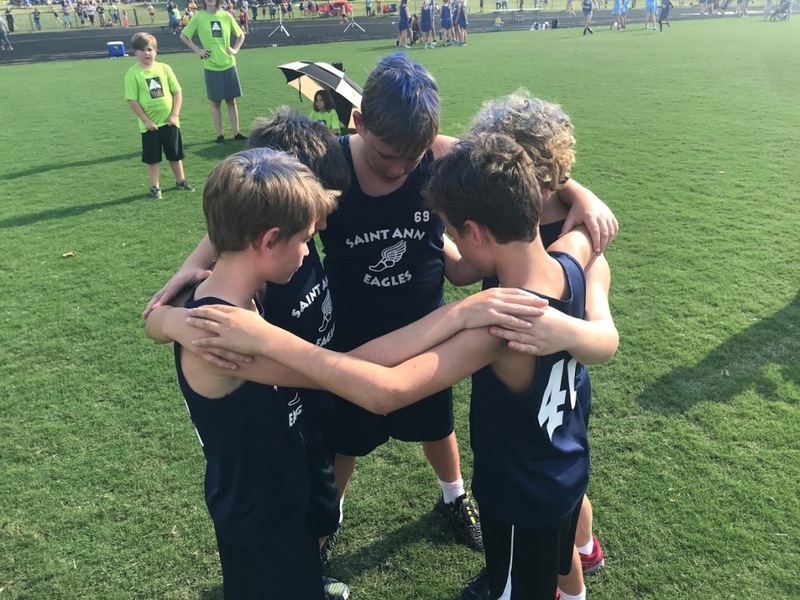 Saint Ann School Athletics are an important part of campus life and, are a great way to keep our Eagles in motion! The Nashville Diocese sports program includes three busy seasons---fall, winter, and spring---and our students participate in all of them. August brings Cross Country, Football, and Volleyball. Some years, Saint Ann School has nearly half the student body running Cross Country, from Kindergarten through 8th Grade! 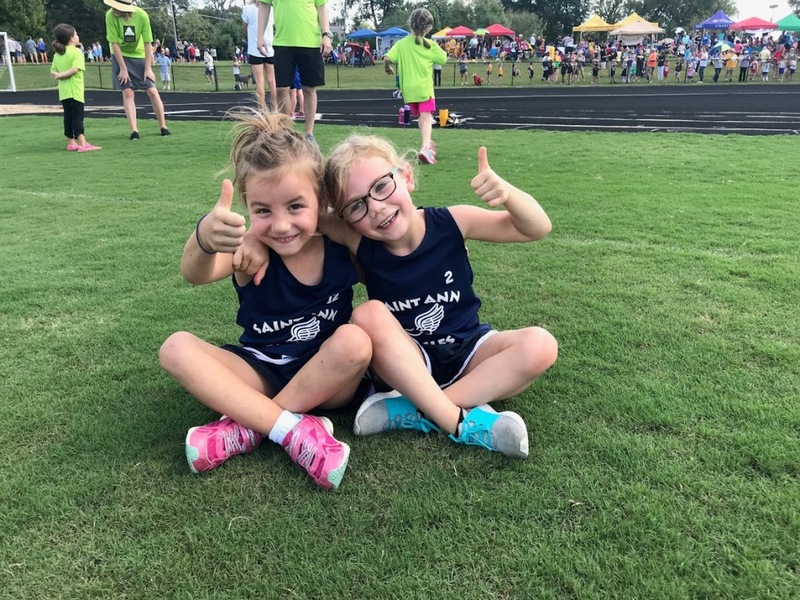 Practices are held at nearby Richland Park where a host of parent volunteer coaches, under the supervision of the Athletic Director, work to build runners’ “legs and lungs,” before the first Diocesan-wide meet in September - always a challenge, always fun! Traditionally, Saint Ann School football players join forces with another parochial school to compete in the diocese. It’s a terrific collaboration and is beneficial to both schools. Volleyball has taken a strong hold at our school, as well as in the diocese as a whole. From its launching pad at the 5th and 6th Grade level, Eagle Varsity volleyball comes on strong in the diocese and ranks easily as a favorite among the girls. 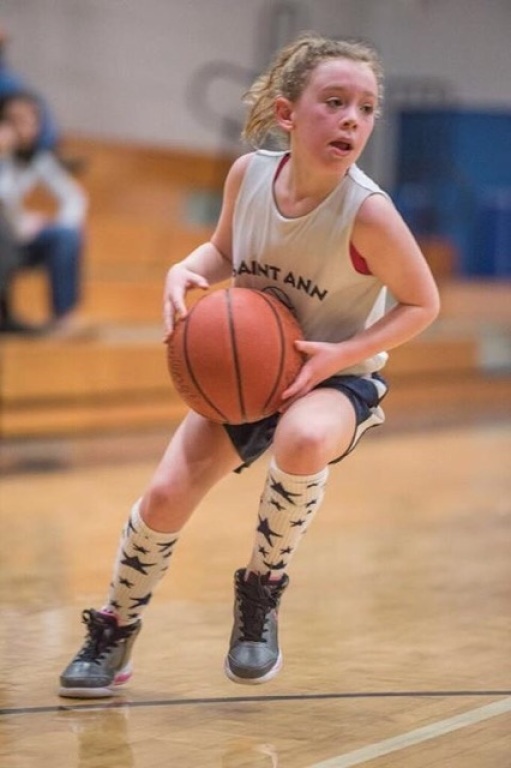 Winter in the diocese is dominated by basketball, and Saint Ann School usually has many Eagle teams participating. Starting in 3rd Grade and culminating at the Varsity level - definitely the most competitive with end-of-the-season tournament play - our small teams ensure targeted coaching during practices and plenty of playing time. The spring season means 5/6 Grade Volleyball, Baseball, Soccer, and Golf. This instructional level of play (5th/6th Grade) is getting more refined by the season, and our players are responding well. Baseball in the diocese is competitive and our middle school players are required to try out for the two available programs - Irish Baseball and Knight Baseball, hosted by Father Ryan and Pope John Paul II High School, respectively. Saint Ann School soccer players team up with a usually strong Overbrook program, as its campus is conveniently located nearby. Diocesan golf had its inception on our campus a few years ago, with one of our parishioners and former collegiate coach offering to coach our students.